Data loss can be catastrophic. If you suspect a RAID array failure contact the experts at R3 to get your data back as quickly as possible. Failed hard drive – SSD – RAID – NAS , SAN or flash memory? Talk to our team at R3 Data Recovery for immediate help and assistance. All of our RAID Data Recovery services start with your free telephone consultation so call now on: 0800 999 3282 Alternatively fill in our priority contact request form and we will assign one of our best suited server/RAID specialists to call you ASAP! As specialist RAID recovery engineers, we have seen a lot of varied recovery cases. We make sure our information is up to date and have a fantastic amount of valuable information, that may help with your recovery. 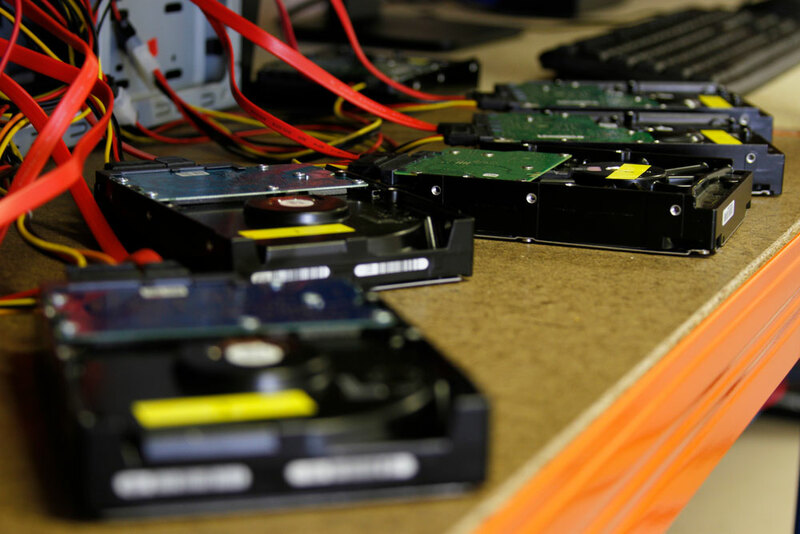 R3 Data Recovery is a leading UK data recovery service specialising in the recovery of lost data from failed RAID arrays, Server arrays and NAS devices. Our experienced UK wide Response team is available 24 hours a day for the purpose of emergency data recovery of critical systems. The Security House lab is central to the successful story of R3. It was first developed in 2007 as the UKs first high capacity data recovery operation. R3 are one of the UKs leading data recovery labs providing services through IT Support Companies, PC Shops, our partner network of data recovery and disaster recovery managers and direct to home users, self employed and students. In the case of failed hard drive’s that require attention our ISO 3 (greater than class 100) certified clean room labs are situated around the country so you are never far away from a full recovery of your data. Why should a service of RAID Data Recovery exist at all? Well, no server or RAID (Redundant Array of Inexpensive Disks) System, is entirely resistant to failure. Whilst it is true that most RAID levels provide a good redundancy against failure allowing for one failed disk, as in RAID 5 arrays, two failed disks, as in RAID 6 arrays, the fact remains that there is absolutely no guarantee that irregularities in the power supply, sudden knocks or impacts or even natural disasters will not lead to the loss of data from what was thought to be a secure system. Data Recovery services and dedicated data recovery personnel must exist as a fallback for when the worst does actually happen! 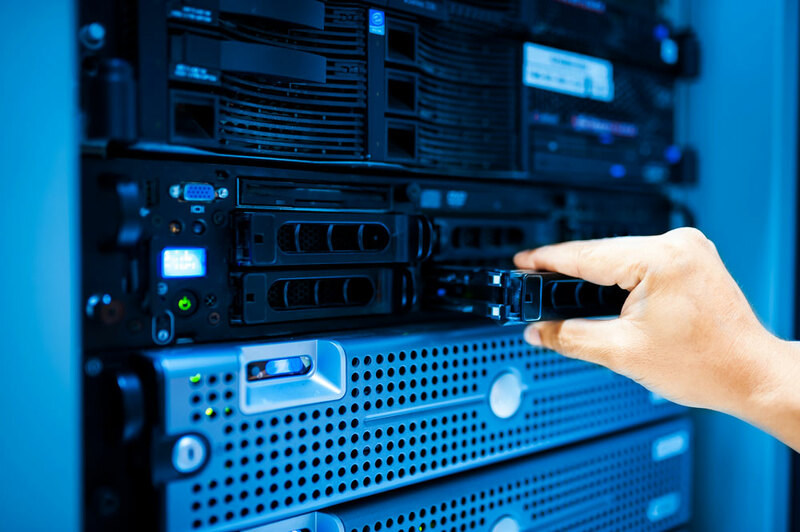 R3 Data Recovery exists for that very reason, we specialise in RAID Data Recovery, Server Recovery and offer services to ensure that you are back up and running, with all of your data intact – in most cases, other than the minimal of down time, you would not be aware that the data had been lost. R3 offer recovery of all RAID Arrays and File Server systems regardless of the configuration, the nature of the file system or the operating system that was used to create the data. And all others. Our current research indicates that there are no file systems we are not able to support. Powered by R3 - When you see the “powered by R3” logo you are guaranteed and reassured that your device and data are in the safest of hands. All the resource and expertise of the UK’s best data recovery lab will be used to give you the best chance of receiving all your data back. So look for the R3 logo. RAID arrays form by far the most popular modern method of storing data. Originally designed with two factors in mind; more reliable data storage (through redundancy – which does not apply to RAID 0 or spanned arrays) and an increase in throughput performance, i.e. far quicker operation than a single drive. There are dozens of different RAID configurations, known as levels. The type of application, the storage requirement, scaleability, expandability and performance are all factors which will dictate the best RAID level to implement. RAID 30 for high-speed video editing, RAID 1 for metadata and log storage, and RAID 5 (possibly the most common level configured) for all-round use. Looking for a RAID Recovery Expert? We try and answer your most important questions straight away so you’re left with the full picture of exactly what we do and how we do it. Can you recover our data? The likelihood is yes, we probably can. For RAID systems our current success rate is above 95% for a full recovery, provided the RAID has not been subject to numerous manual rebuilds or recovery attempts by the user or IT admin. For single hard drive failures, our success rate varies depending on the type of failure, as well as the manufacturer of the drive (certain drives have known issues, which can reduce the chance of successful recovery). Generally, we enjoy success rates above 98% for single drives. Roughly, single hard drives cost from £375 plus VAT. The price will rise depending on the capacity of the drive, and the nature of the failure. For RAID systems, pricing is worked out on a per-job basis, as there are far too many variables that prevent publishing of pricing structures. Will you charge us for diagnosis? No – please contact us for further details. How do we send the media over to you? If you are local to us, you may make an appointment to deliver your device. Alternatively, you can use any reliable courier service. If you have a large and fragile storage device, such as a complete server, we recommend using a dedicated, same-day courier. What should we do if our data is lost? The chances are you have not actually lost your data – it has merely become inaccessible. The services of a data recovery professional will usually be able to restore access to the lost data. It is critical you do not attempt DIY data recovery, as this all too often results in catastrophe. How do we prevent data loss happening? The only sure-fire way to prevent data loss is to have a comprehensive backup routine in place. This backup system needs to be tested regularly; we often encounter users who have been backing up religiously – but the backups have all failed. Even your backup system should be backed up, and the backup taken off site. Learn not to trust any storage medium on its own – all storage systems can fail. How do we prevent more data loss failure? If a single hard drive fails and is making any odd noises, it’s important to power the drive off, and leave it off until you can get it to a data recovery professional. Further attempts to read the drive or copy off data will almost certainly cause further damage to the drive, and may well render it completely unrecoverable. This can occur if there is a failure of the read/write heads; allowing the drive to continue spinning could result in the damaged heads scratching the platters, leaving absolutely no chance of recovery. With RAID, there are more options. Many causes of failure are the result of a crashed RAID rebuild (following swapping out a failed drive with a healthy one). At this point, you need professional assistance. A power surge can leave more than one drive damaged – enough to bring down the RAID. This needs immediate professional attention.